Lights Out In the Attic arose from the genius of the late Judi Schram. It is a lighthearted, humorous and, at times, poignant look at aging for women of the boomer generation. 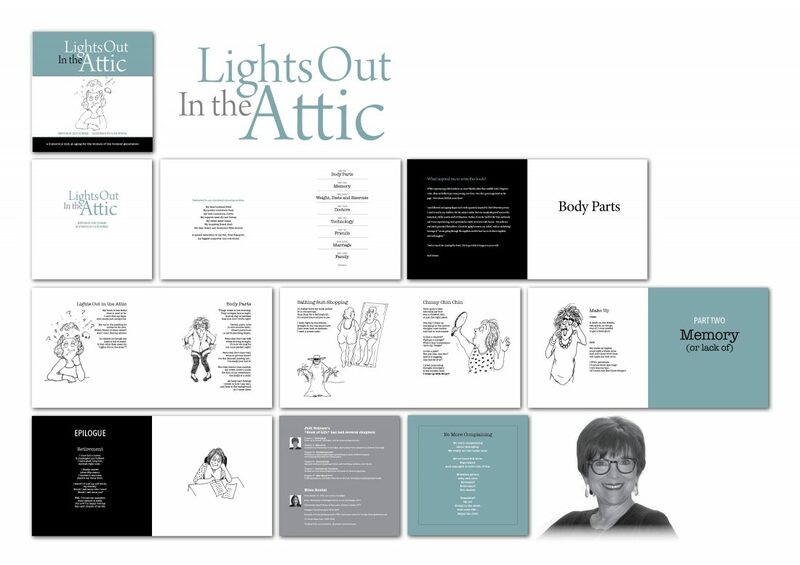 The chapters include: Body Parts, Memory, Doctors, Marriage, Family and Friends, and each poem is accompanied by a delightful illustration by talented artist Ellen Rontal. Judi also performed vignettes from the 104 page book in a theatrical production whose cast members included her dear friend. This visual shows just a small portion of the book. 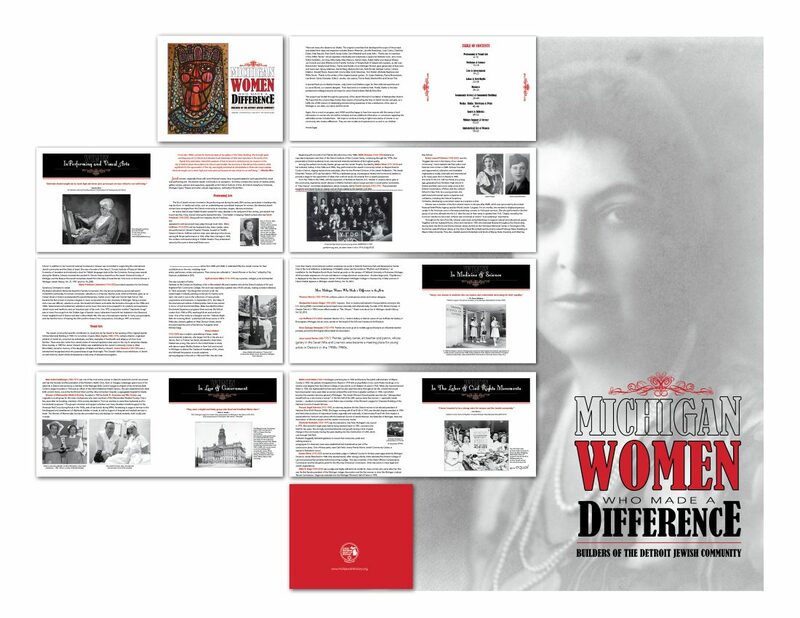 Michigan Women Who Made a Difference shares the stories and accomplishments of more than 120 Jewish women from Detroit and SE Michigan whose passion, dedication and innovation helped to shape and enrich our communities. 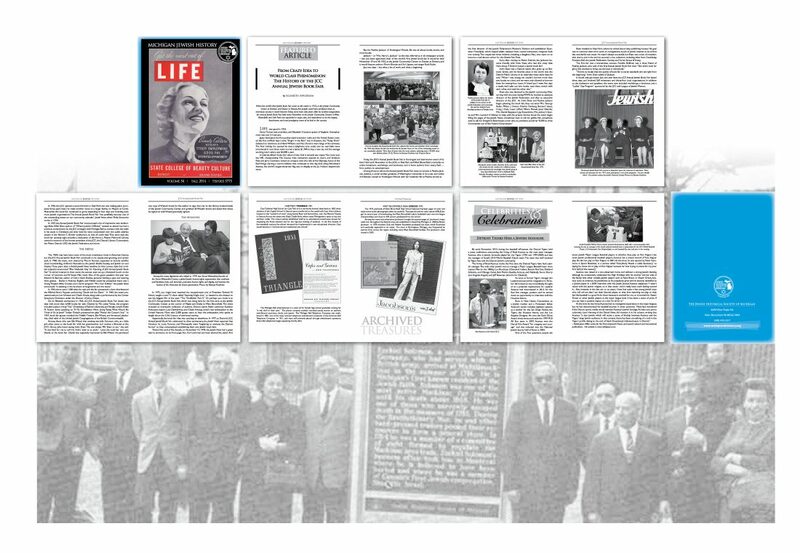 The inspiring stories of these women in this 64 page book became a realty through the research and writing of Aimee Ergas, archivist at the Walter P. Reuther Library at Wayne State University, and the Jewish Historical Society of Michigan. Michigan Jewish History is a yearly Journal published by the Jewish Historical Society of Michigan. This typically 120-page book contains several feature stories, Remarkable Jewish Artists, Celebrity section, Creative Expressions, Book Reviews, News from the JHSM, President’s Report, and In Memoriams. The Journal is distributed yearly to all of the members, and is also archived in the JHSM website. The Holocaust Center Zekelman Family Campus presents an annual fundraising dinner each year. 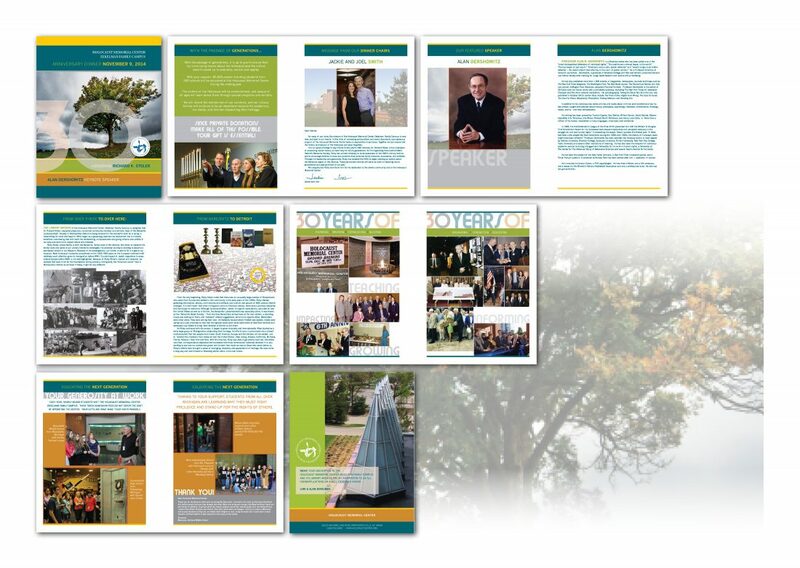 Honorees and event speakers are selected well in advance, and this 250+ page book features pertinent events at the Center, upcoming exhibits, and historical relics. The Best of Times, A Celebration of Life was published by Dan Buckfire, in memory of his late wife Lori Haber Buckfire. 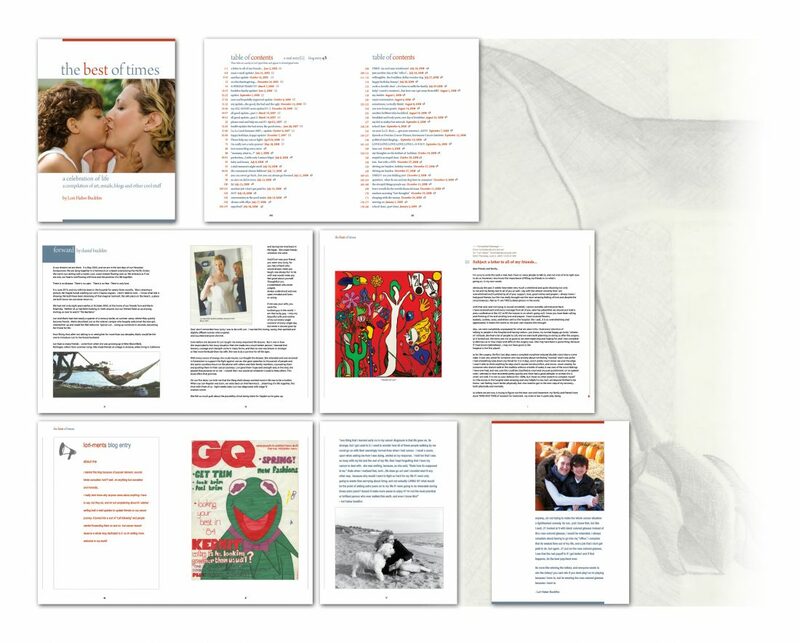 The title tagline, ‘a compilation of art, emails, blogs and other cool stuff’ poignantly explains the 300 page books’ contents, as they represent the creativity and love that Lori exemplified throughout her young life, and serves as a collective memory for their son.